Painting en plein air means you’re outside! 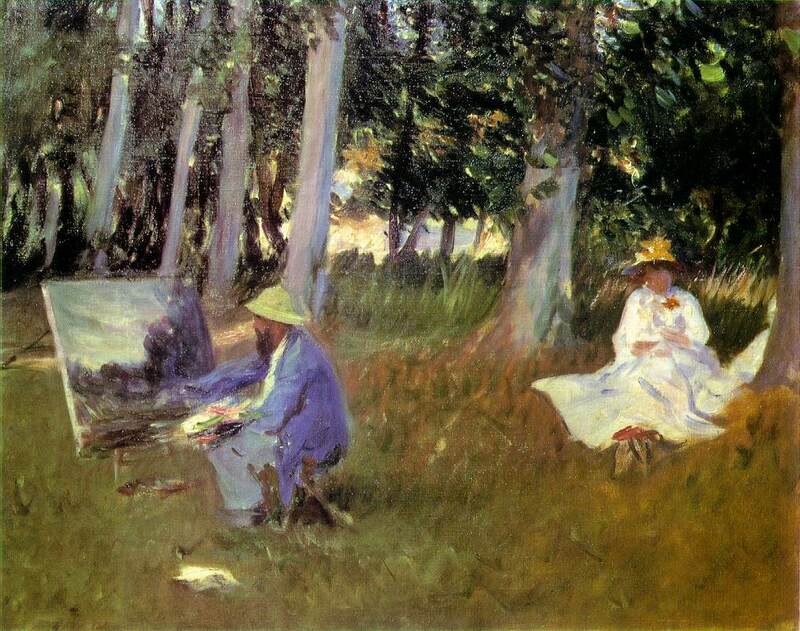 En plein air is a French term that means “in the open air.” A lot of artists will paint landscapes outside from observation (looking at the real thing, not using a photograph as a reference). Plein air painting and drawing can be done in a variety of media—oil, acrylic, pastel, watercolor, pen and ink, etc. 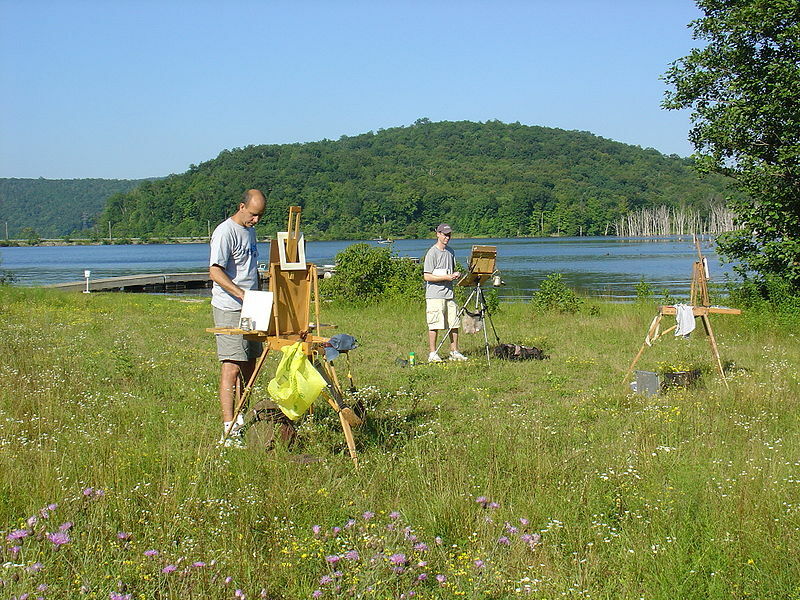 , but in this lesson, we’ll focus on plein air painting with oil paints. Many painters count on a series of quick sketches with oil paint done plein air, before developing a final painting in their studio. Mood, color, and atmosphere can never be fully captured in a photograph the same way an artist experiences them by sitting outside really absorbing their environment. 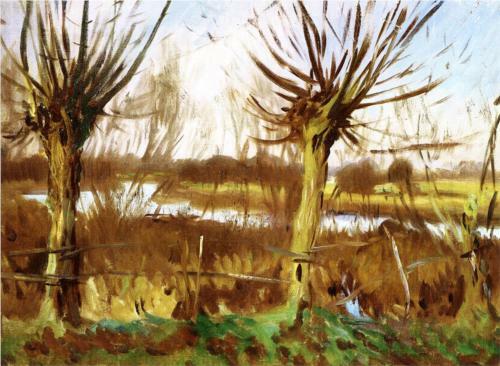 So especially for landscape painters, it is highly recommended that you build some time into your painting schedule to paint—or at least sketch—outdoors. Before paint was manufactured and available to purchase in tubes, artists had to make their own paint. They would buy or find pigments and grind them with oil which had been heated very slowly. It was a long process and was really only possible to do in the studio. This stuff was not easily transported. 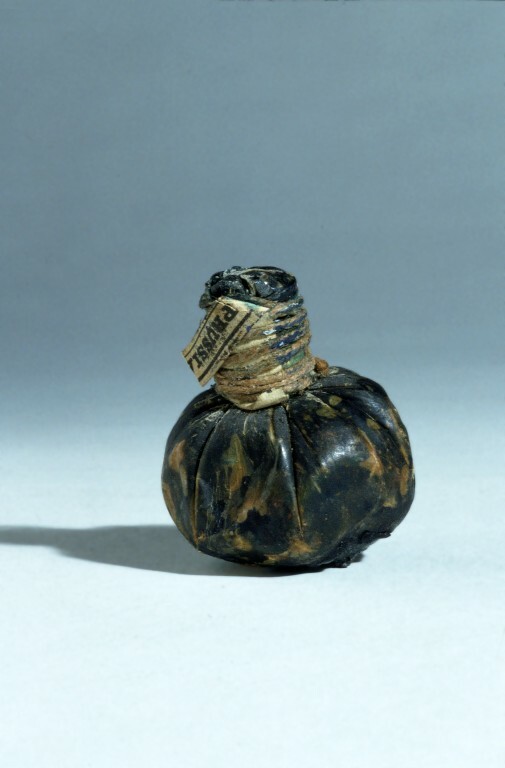 Artists eventually started to carry paints around in pig bladders that were tied at the top with string. In order to get the paint out, they would poke a small hole in the bladder and squeeze out the paint. Once air got into the bladder, it would dry out the remaining paint. Holes would clog, forcing the artist to poke even more holes. 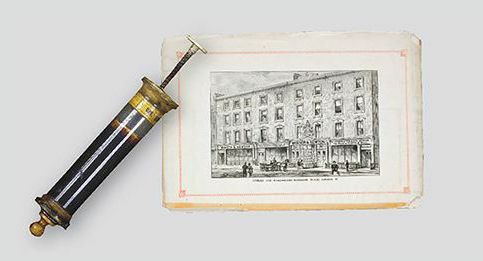 All in all, it was not a terribly effective method for keeping and carrying paints. Oil paints used to be carried around in pig bladders. 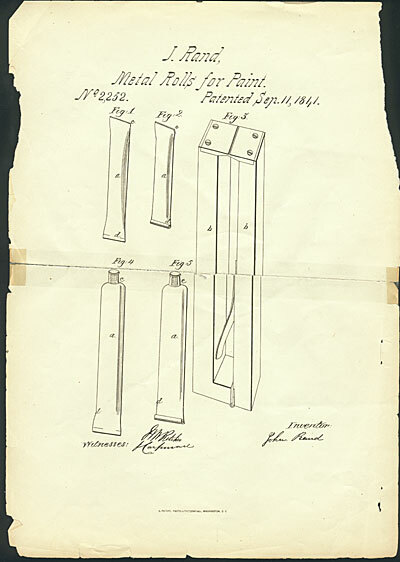 Sketch for metal paint tubes, patented by John Goffe Rand in 1841. 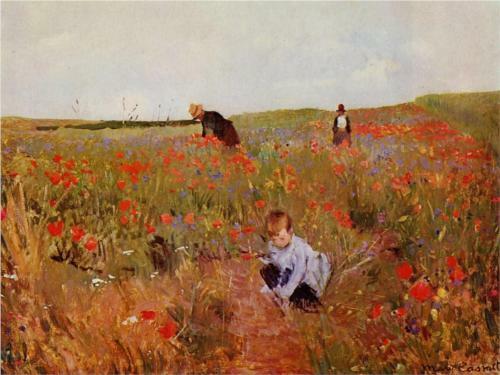 Once paint tubes were invented in the 1800’s, painting outdoors became much easier and became a trend among painters who wanted to capture natural light and outdoor scenes. 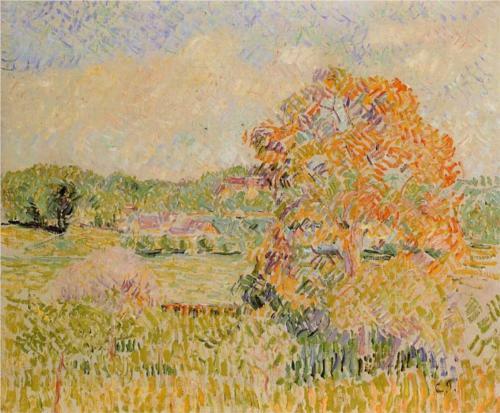 Impressionist Palette: Cadmium Yellow Light, Cadmium Yellow Deep, Cadmium Orange, Cadmium Red Light, Alizarin Crimson, Cobalt Violet, Ultramarine Blue, Cerulean Blue, and Viridian. 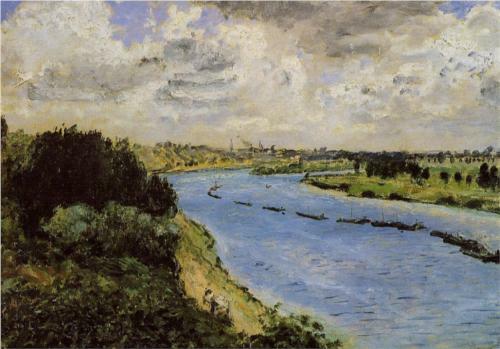 Artists who painted outdoors had a big impact as well. 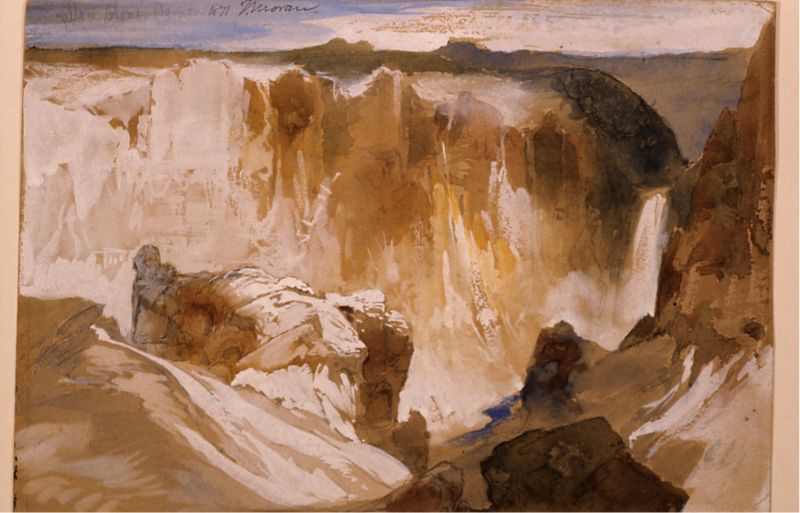 Thomas Moran (1837-1926) was part of the survey team exploring the Yellowstone region in 1871, visually documenting over 30 different sites with watercolor sketches that would later serve as the basis for numerous paintings. These field sketches were the first color images of Yellowstone ever seen in the East. 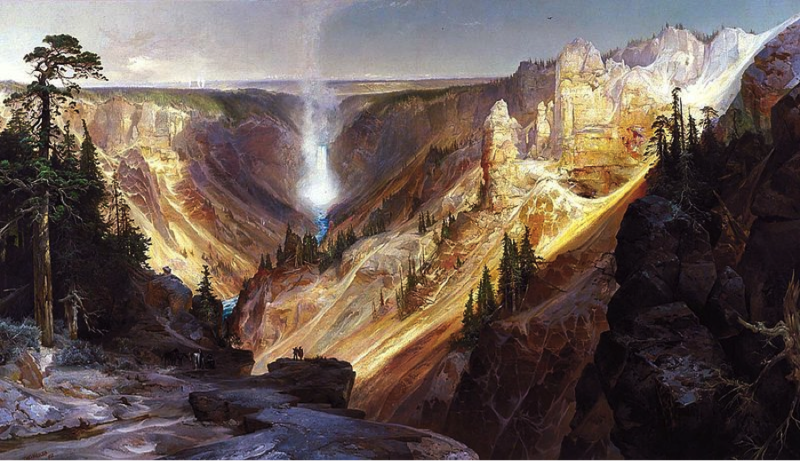 Moran’s paintings were instrumental in convincing Congress to preserve this incredible area and establish Yellowstone as the first national park. All of your paints and supplies fit in the little box behind where the painting goes and when you’re on the go looking for a good spot to paint, the whole thing folds up like a briefcase! 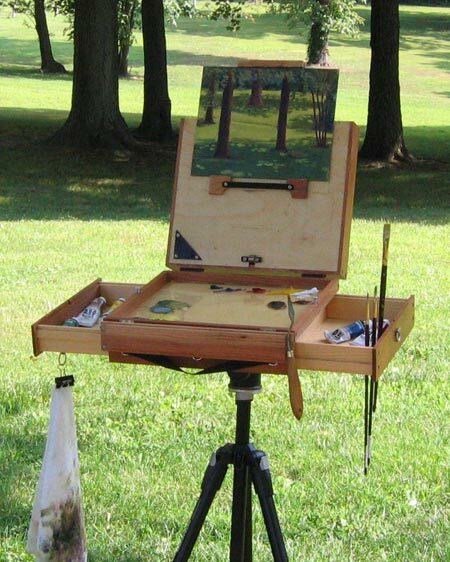 Most plein air easels come with palettes that fit perfectly inside. If you plan on painting outdoors a lot, you may want to invest in this sort of easel. The one caveat is that they typically don’t hold very large canvases—usually somewhere around 34” in height is the max. That’s okay though, you don’t want to be carrying around several large canvases as you paint outdoors. 16” x 20” (or somewhere around there) is typically a good size. 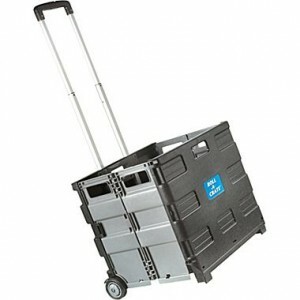 These easels can run anywhere from about $45-$350 new. Try looking on eBay, Amazon, or Craigslist too. 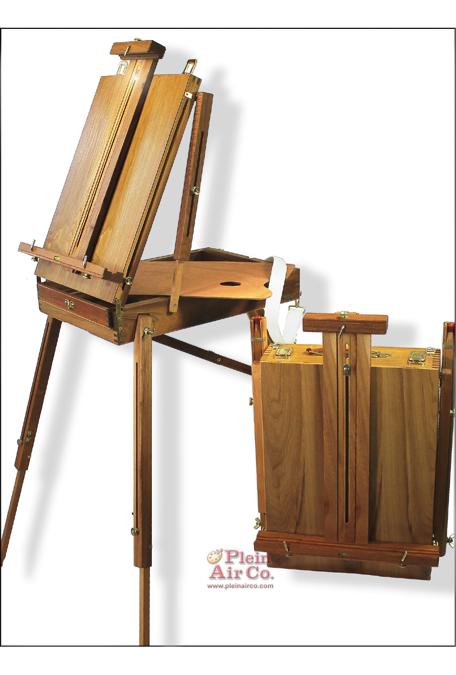 The part of the easel that folds into what resembles a wooden briefcase is called a pochade, which is French for a type of sketch, usually done with oil paints outdoors. 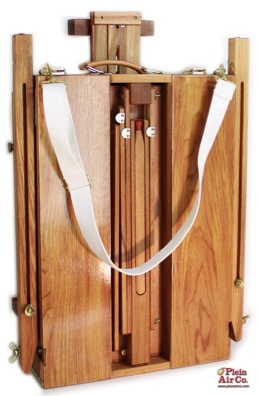 The pochade may come attached to an easel or may require a separate tripod to mount on. It’s an all-in-one box that folds out to reveal a drawer for your paints, a flat surface for your palette, cup holders for solvents, brush holders, and sometimes flat areas to store your canvases. Features will vary based on brand and amount of money you’re willing to shell out. You can see all the convenient features included that will make your plein air painting experience more pleasant. A plein air easel works best, but if you don’t have one, you can use any portable easel. If your easel doesn’t have a top bar (a repositionable bar that holds the top edge of your canvas), you’ll want to make sure you have some clamps to hold your canvas in place. If you don’t do this, a gust of wind can take your canvas to new heights, ruining all your hard work. Something like this will work as long as you clamp it to the wooden frame of your canvas and not just the canvas (it will dent your painting). Have a few clamps in your arsenal for other things like attaching your rag to your easel so you don’t have to hold it while you paint. If you have a plein air easel, chances are there’s already a palette in there for you to use. If, however, you’re just using a folding easel, you’ll want to bring your own palette. Palette paper is nice for plein air painting because at the end of your session, you can just fold up the paper and throw it away, instead of dealing with the hassle of scraping off your palette and cleaning it before putting it away in your bag when you go home for the day. If you’re using a regular easel, you’ll also want to have a portable table to set your paints and mediums on. 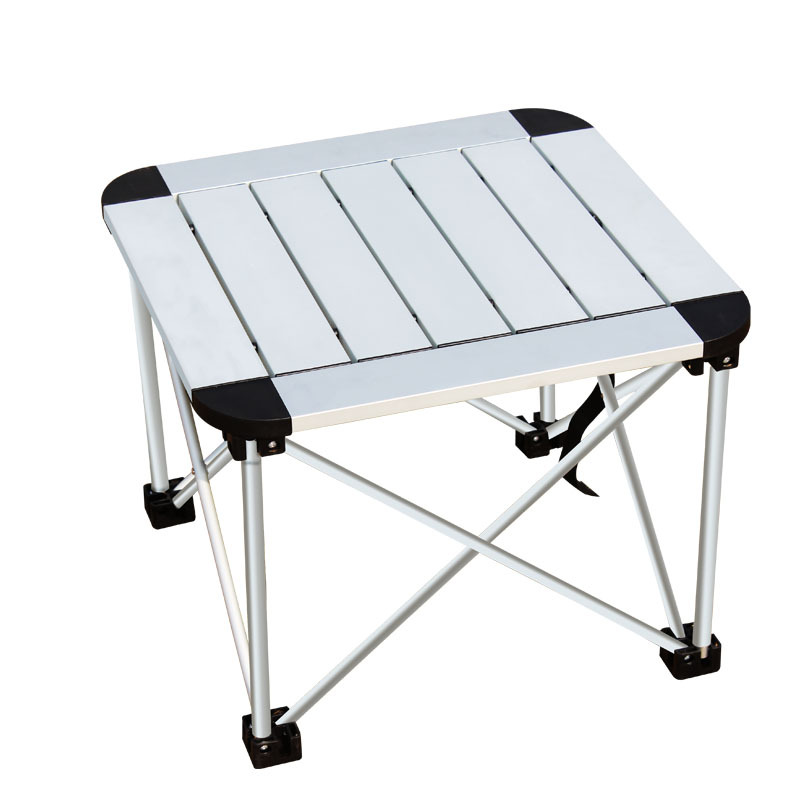 This folding camping table would work well. You can also make double use of a milk crate or box—use it to hold all your supplies until you get to your location then flip it over and use it as a small table. If you’re going to sit, you’ll also need a folding chair or stool. 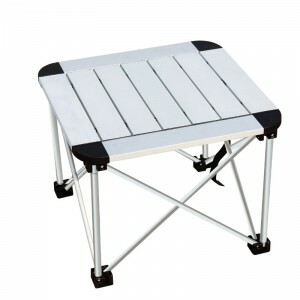 I have seen a lot of plein air painters using a folding stool like this one. A three legged stool is fine for short stints, however if you are going to be painting for a few hours, I recommend a straight back folding camp chair. Make sure you don’t buy the ones that are for slumping back with a cold beer. 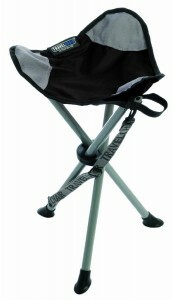 You’ll need to have a slightly straighter back, (although the drink holder can be handy to hold your water container). Depending on where you are painting, you may be able to take advantage of the resources available: ie, picnic table, beach chair and table, flat rock, beach towel. 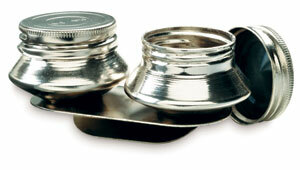 You’ll also want to make sure you have a couple of palette cups for your mediums. You can pour your mediums into these cups before you set out for a painting session, just make sure you get the palette cups with screw on lids. A mason jar works well for your solvent since it’s heavy enough to not blow over easily and has a tight-fitting lid for transportation. 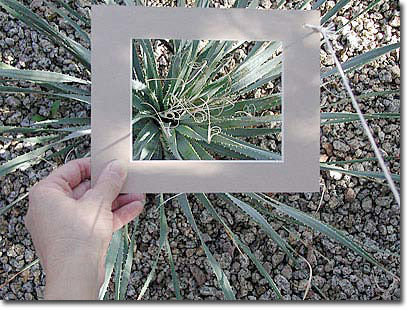 This can be as simple as your thumb and forefinger in an L shape or a piece of cardboard with a rectangle cut out in the center to help you frame your composition. If you haven’t yet read our lesson on composition, check it out now: Composition For Beginners. 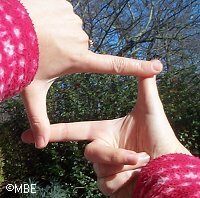 Alternatively, you can also use the viewfinder in your camera. Don’t forget your paints! You don’t need to bring every tube of paint you own (unless, of course, you only own a few). Try to keep your palette limited to just a few select colors. 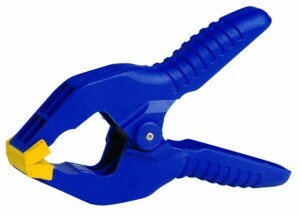 This will help harmonize your painting as well as giving you less to carry to your location. You’ll also want a bag of some sort to carry all your supplies—backpacks work well since you can wear them comfortably while you’re walking. Wheeled shopping bags are a great option if you don’t want to carry everything. 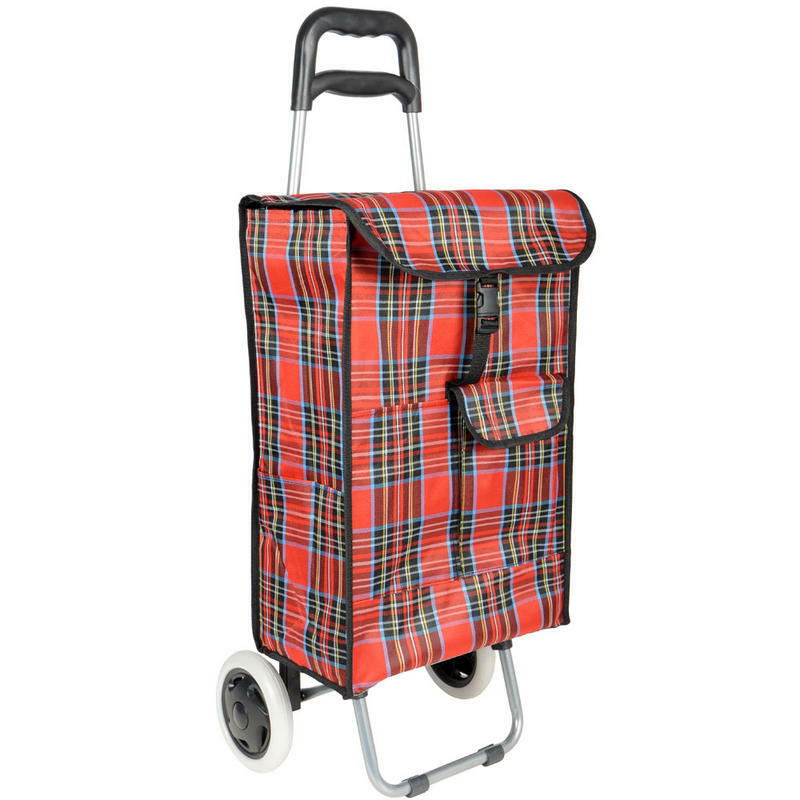 You can also make a version of this by using a furniture dolly, a milk crate, and a few bungee cords. 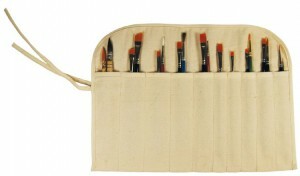 For instructions on how to make your own roll-up brush holder, see our Oil Paintbrushes lesson! Bring a few more rags than you think you need. You never know when you’ll need to clean up a spill or wipe away unwanted paint on your canvas or palette. Bring these items along to make thumbnail sketches of your composition before you start painting. It might seem like an extra step and I know you’re excited to get started painting, but this will save you some heartache in the end (running out of room is a really common problem when you just start winging it). Can’t paint if you don’t have something to paint on! Don’t forget this essential item. If you have a plein air easel, check the maximum size for your canvas. Many don’t hold canvases over 36”. Small canvases are best for plein air painting so you can carry several around with you easily. 16” x 20” or less is best. Take 2-3 canvases in case you want to capture changing light or a different scene! A regular point-and-shoot camera or high quality cell phone camera is good for this, as you can use it as a viewfinder to find and isolate interesting compositions. Take a photo of your chosen subject at the beginning of your session—you’ll be surprised at how quickly the light changes! If you love the scene because of some dramatic shadows, make sure you grab a picture of them before they change. You’ll want to record the scene in case you want to either redo the painting at home or make some final touches a later date. Be sure to check the weather report before you go out—you don’t want to get stuck in the rain! Make sure you dress the part. You may want to consider dressing in layers to account for any changes in weather. 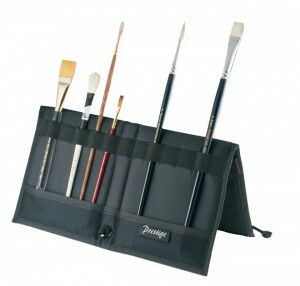 Fingerless gloves help keep your hands warm but still allow you to hold your paintbrush. A hat with a wide brim is a good idea. Since the glare of the sun can diminish the size of your pupils and distort colors, it’s critical that your eyes are shaded but sunglasses can also distort colors. Bright colors (including stark white) clothing can reflect colors onto your canvas. Wear neutral beige or cream colors to avoid unwanted reflections. See what you have already in the house that will make up your plein air pack. Is there an old back pack everything will fit in? Will that old camp chair do the trick? Don’t think you need to trek to some exotic location in order to make a decent plein air painting. You can go to a local park, beach, or anywhere you like the scenery (don’t trespass on private property, though!). One thing you may want to consider is that people are very curious when they se plein air painters. They may want to stand and watch or talk to you while you’re working. If you’re fine with this, then set up anywhere! If you’d rather not deal with interactions with strangers watching you paint, set yourself up so that your back is covered, for instance against a wall, a closed doorway, or something else that will obstruct the path of any looky loos. If you have a back or front yard, try that first! It’s nice to try it out for the first time somewhere close to home in case you run into any issues. Research art associations in your area to find which ones offer plein air paint outings. Most organizations will let you join them a time or two before officially joining their group. Check to see what type of medium most of their members use. There are dedicated oil painting societies as well as general art groups. You can be an oil painter and still join a group of watercolorists. Artists are a friendly bunch! So now we’ve covered your essential supplies and where to go…let’s talk about some of the techniques used in plein air painting. Use your camera or viewfinder to find a composition you find interesting to paint. You should choose a composition that is some distance from you (40 feet or more) to help you resist the urge to focus on detail rather than the big picture. Choose a time of day when light and shadow are clearly defined—either morning or later afternoon. If it’s noon, the sun will be straight overhead, making shadows disappear, which can result in your painting looking “flat.” The same thing applies if it’s foggy or too bright—both of which can have an effect on the outcome of your work. Keep in mind that the light will change the longer you are outside. Shadows will be different at 10 am than that 6 pm. Work quickly, blocking in major shapes first then only getting into details at the very end. 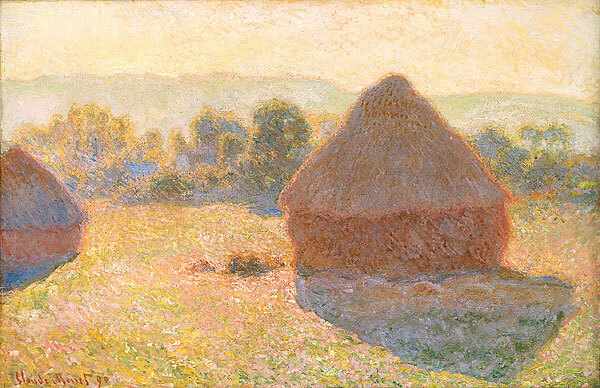 If you plan on being out for a while, you can take several canvases to work on at different times to capture the light as it is in the morning, afternoon, and evening. 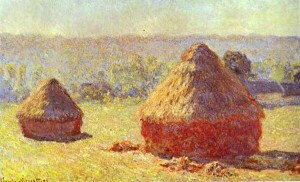 Claude Monet’s Haystack series is an excellent example of this. He worked on several canvases at one time, switching them as the light changed. 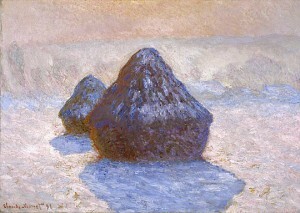 It was also an ongoing project of his, so he captured the haystacks through seasonal changes as well. Before you begin painting, squint your eyes or close one eye and squint the other. This will help you to see the big, important relationships and details will fade away. For instance, when you examine a tree this way, the individual leaves disappear and we see instead larger distinctive shapes of light and dark representing “clumps” of leaves rather than any single leaf. When you’re ready to start painting, thin out your paints so that you work gradually from thin to thick layers (in fact, when you’re working with oil paints, you have to work this way otherwise subsequent layers won’t stick and may crack!). 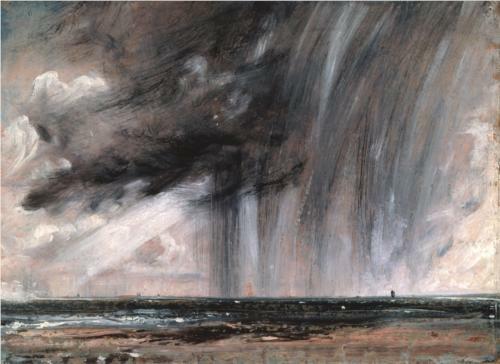 Save your thickest, biggest, boldest brushstrokes for the foreground. Begin blocking in the largest shapes first and work from dark to light. Remember about perspective and how things get smaller as they recede in space. As you go back in space, reduce the size, thickness and definition of your brushstroke. 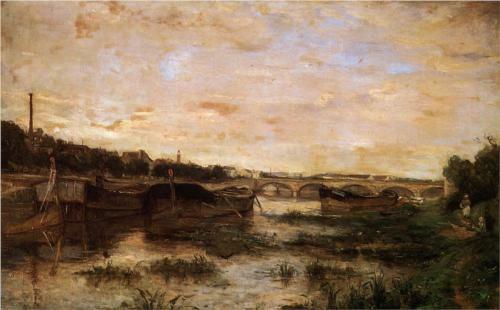 With atmospheric perspective, we lose details in things that are further away from us and their colors begin to fade. Imagine a set of mountains fading away into the distance…see how colors loose their intensity the further away you are from them. Detail is most evident close up and the further away you get from the subject, the details and contrast disappear. In the far distance colors loose their warmth (no warm oranges, yellows, or reds) In fact, in the far distance only bluish colors remain; all definition fades as we near the horizon line (where the land meets the sky) until in the far distance the landscape fades into the sky and the edge between them appears to disappear. Be as accurate with your color as possible; try not to make assumptions as to what color you THINK something is. Examine it closely—you may be surprised to find orange or bluish colors in a tree you THOUGHT was green! Or you may find yellow in a sky you thought was blue. Remember our drawing lesson Learning to Trust Your Eyes? And our painting lesson Color Illusions and Themes? Believe what you SEE, not what you think you KNOW about the color of something. You’ll be surprised at how much your brain is trying to trick you! You can color check to see how close you’ve come to the actual color your mixing by closing one eye and holding the brush with the color you’ve mixed so that appears to be right in front of the color in the landscape. If the edge of the brush filled with color appears to disappear into the color you’re going for, you’ve got a good match! If not, it helps to hold the color you mixed right up next to the color you’re trying to match so you can more easily see what you might add to make them match. Once you’re ready to start adding some details, open your eyes wide and look to where one shape ends and another begins, for instance, where a clump of leaves in a tree meets the sky is a spot where we might see some detail in individual leaf shapes. Now that your painting has been worked up to a point where most of it is wet with thicker paint applications, the best strategy is to wait for it to dry a bit before you add more paint. Continuing to work it after it has reached this point can result in unintentionally muddy color and muddled, blurred brushwork. If things have gotten out of control at this point, another option is to scrape off what you’ve got and start again…you might be surprised to see the soft, blurred version of your previous painting makes a great start on the new one! It softens everything enough so you can keep and take advantage of what was good and easily repaint the parts that didn’t satisfy you. I like to say “oil painting is a good medium for people who make a lot of mistakes!” because you can always scrape down and start again, or wait for it to dry and add another layer. First, he’s toning his canvas with what looks like a little Yellow Ochre + Burnt Sienna mix and a bit of solvent. Just rub that onto your canvas then wipe it all off with a rag to tone your canvas so it’s not so stark white. After that, he sketches in the scene with some thinned down dark paint (use your Burnt Sienna or Burnt Umber mixed with solvent). When he begins painting, the darkest darks go in first and only at the very end does he add the lightest colors. That’s because it’s easier to make something lighter but making something darker after you’ve already added white is nearly impossible. When you’re painting outside, you’ll probably be using a lot of green. Remember that if your green is just too green, you can add a touch of red to tone it down. If you only have linseed oil in your medium arsenal, then go ahead and use that. Some plein air artists like their paints to dry a little more quickly so that things don’t get too messy, both during the painting process and in carrying it home afterwards. For that, you can use an alkyd medium such as Galkyd, Alkyd Glazing Medium, or Liquin. These mediums will still allow you to work wet-into-wet with your paints but will help speed up drying time. Go out and paint! Gather all the materials you will need and find a place not too far from home where you can paint. Choose a simple scene (distant hills, middle ground trees, foreground meadow) or a small piece of a more complicated view (a bloom on a cherry blossom tree against a blue sky). Remember, you don’t have to paint everything you see. Keep it simple. Don’t overthink your painting—right now, your job is to be alert and notice the things around you. You can overthink it once you get back into your studio. Set up somewhere in the shade if you can. It will keep your paints from drying out (and keep you from getting sunburned). You don’t have to finish the entire painting outside. Try to get the gist of things. You can always complete it back in your studio. When you’ve finished your painting, send a photo to us using our Submission Form.